If you’ve played 4E D&D for any length of time, you know that the typical combat encounter can take quite a long time to resolve. It’s not uncommon for a fight to take an hour or more, in my experience. As PCs gain levels and move on to paragon and epic tier, the problem worsens. Since the combat length issue is so well known, various suggestions have been made across the D&D blogosphere. Dave “The Game” Chalker uses “outs”, ways for combat to end early. 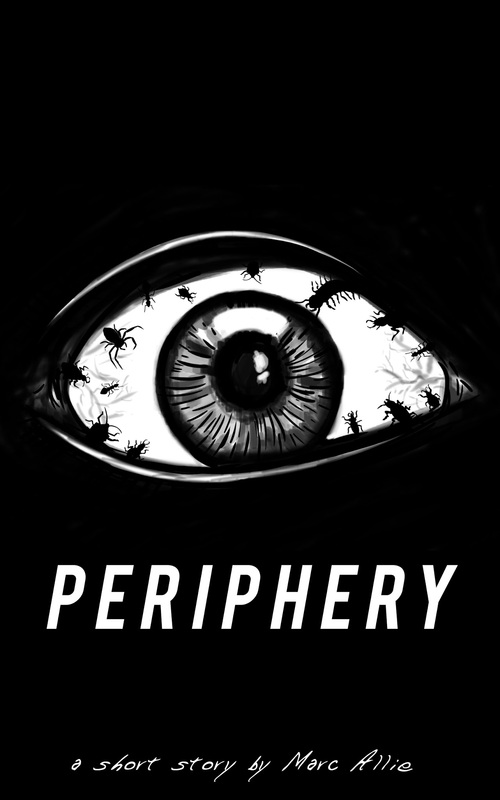 Mike Shea proposed the skirmish, a 30 minute alternative to a full-on encounter. Both of these methods are excellent, and can be used to cut down on combat length considerably. Still, even a “short” 30 minute encounter is too long for certain situations. Last week, The Id DM wrote about his experience playing old-school Basic D&D. His thoughts on the pacing of Basic D&D combat, as opposed to the length of 4E fights, intrigued me. Sometimes, you just want the players to quickly slice through a group of orcs. But there’s not really a way to do this in 4E. Can we easily adopt the faster pace of classic D&D fights to an encounter, while still remaining true to the core 4E ruleset? First, we need to analyze what makes combat in 4E take so long. Here are what I consider to be the biggest culprits. The issues with battle maps and miniatures need little explanation; deciding on the most advantageous position in battle is crucial, but takes lots of time. Some classes have dozens of options available to use, and choosing the best one in any given situation can lead to analysis paralysis. There’s a lot of down time when it isn’t your turn. And while not telling players the AC, hit points, or other stats of enemies might be more realistic and exciting, it also adds a lot of complexity. What if we created an alternative to the standard combat encounter, where all of these pace-slowing factors were not present? Remove the battle map, and let the action unfold in the players’ imagination. Limit choices by allowing at-will abilities only. Let all the PCs’ (and monsters’) actions take place simultaneously. Use only minions to cut out damage rolls, and tell the players the defenses of their foes from the beginning. Would a combat set up in this way (let’s call it a brawl encounter) work? I think it would. Here’s an example. The players select their attacks and roll to hit, all at the same time. While they do so, the DM rolls for the hobgoblin’s attacks. The players roll dice again, as does the DM. Of course, this is a very simple model, with a small number of generic enemies, but the brawl encounter moves pretty fast. With fewer choices and simultaneous action resolution, rounds move very quickly. Fewer time-consuming calculations are required. A good narrative structure remains, and players can describe their actions as they like. It still feels like D&D. There are some obvious limitations to the brawl encounter. Players might feel like their characters are being crippled when they don’t have access to all their powers. Fighting against huge waves of minions could get repetitive. 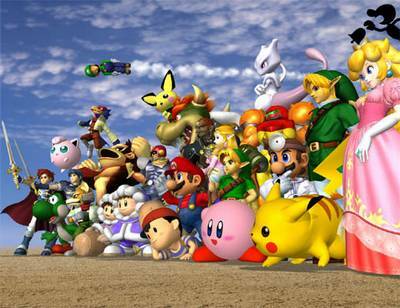 For some groups, the brawl might feel too “dumbed down” to be enjoyable at all. Each of these objections are certainly understandable, but I think the benefits of having an option for five to ten minute combat encounters far outweigh these drawbacks. What kind of situations would the brawl encounter be best for? Wandering monsters are the first thing that spring to my old-school mind. Throw a pack of wolves at a group of heroes entering a creepy forest, and resolve it as a brawl. A brawl can add flavor to mundane things like long periods of overland travel. To spice things up, toss in an encounter with highway bandits who have a clue to an upcoming adventure. This adds depth and richness to your game world without bogging the entire evening down with another lengthy combat. Another advantage to the brawl is that it makes the PCs feel more heroic. Heroes defeating dozens of lesser opponents with ease is a standard trope of the fantasy genre. When they can take down a dozen hungry lizard men, kobolds, or enemy troops after just a few minutes of gaming, they feel powerful and important. Movies do this kind of thing all the time; think of the Lord of the Rings series. 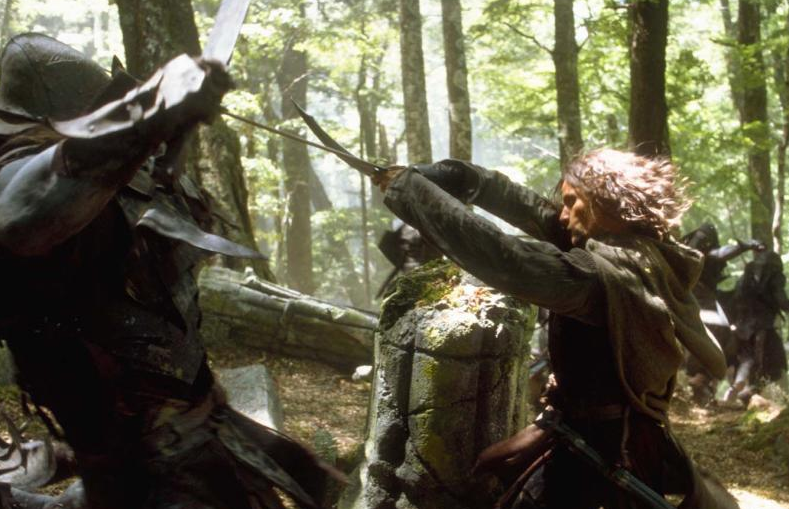 Aragorn can take down multiple opponents in a short span of time; it’s a given that he is much better at swordplay than his opponents. When you put away the battle map and let players one-hit their enemies, they will have that same movie-star, “I’m invincible” feeling. There is definitely a place for short, five to ten minute fights in 4th Edition Dungeons & Dragons. These brief brawl encounters can be sprinkled in as you see fit throughout your campaign. They provide a nice alternative means of engaging PCs without all the baggage that comes with a standard set-piece style encounter. Consider using brawls in your campaign, and let me know how they turn out if you do! I like this idea, though I would add one caveat: using “two hit” minions or monsters of a significantly lower level than the party (3 or more) can make the party feel like they did more than just blow through a pack of minions – especially if there’s a controller or two in the party. That could certainly work, but then you have to track who hit which minion, which are damaged and which aren’t, etc. That makes it more difficult to handle without paperwork or a map. That might work as a “step up” from a minions-only brawl, though. Your method cuts down on combat time sure, but is it fun? Doesn’t really look like it. It may not be fun to some people. That’s OK. But this is very similar to how D&D was thirty years ago, and obviously folks had a good time playing back then. If it doesn’t work for you or your group, that’s fine. It’s just an alternative, not a replacement. Thanks for linking to my article; you offer an interesting idea. I think – as a player – I would be frustrated if I was taking too much damage from a Brawl Encounter. Also, certain classes or styles of play will be rather nerfed if only limited to At-will powers because they will not have access to their big Area, Burst and Blast powers. It is difficult to justify to players that they cannot use certain powers but ask them to spend vital surges or other healing resources. But I think this idea is a good one. I struggle with the same balancing act! How can I increase speed of combat but not lose some of the 4e mechanics that make combat so much fun? Thanks for getting my brain going on this to begin! I can see where players might get frustrated, sure. I don’t see how there’s much difference between taking damage in a brawl and taking damage in a full standard encounter. Players will still earn XP and other rewards for brawls, after all. Shouldn’t they be willing to lose some surges for that? A bigger problem you bring up is the lack of big effects. If characters are set up to use these exclusively, they might get miffed when they can’t use their signature encounter power, say. I’d definitely let the group know what to expect, get their feedback, and maybe even let them retrain if they choose. Or just tell them brawls are intended to spice things up a bit, and there will be plenty of chances to use encounter and daily powers throughout your adventures. The key is communication. I like this a lot… I think it would work perfectly in my game as an accent. Wandering monsters is a good fit. It would also work great for ‘in media res’ opening scenes, and for spicing things up during long travel sequences. This would also work fine if you incorporate it into chase scenes. Perhaps as a consequence for failing tracking checks or skill challenges, without slowing down the rest of the session you had planned for the evening. Your suggestion of using a brawl as a consequence of a failed skill challenge is brilliant. Wish I had thought of that! One point perhaps missing, is how you handle marks and AoE? Do you consider everyone having 1 action (aka this round the leader heal or attacks?) or any action types, as long as they are at-wills? I’d use my best judgement for each case. Marks might be an unnecessary complication, so you might just rule that defenders are more “sticky” and automatically attract more attacks. I’d definitely allow AoE attacks, just make a call on the fly about how many are in the effect each time. I’d start with allowing all at-wills unless a problem came up, then you can discuss it with your players and see if you can come to a fair resolution. I wouldn’t over analyze,though. The whole point is that PCs will blow through a brawl really quickly. We’ve used similar approaches in Ashes of Athas and Living Forgotten Realms organized play. We combined the use of skills and attack powers against a horde of monsters. The horde is set at a certain size and you are trying to bring down all the foes. As ghosts, vestiges, shadows, or the like it can make a lot of sense. You use ways to adjudicate how many can be in a blast or burst and just roll against minion defenses. Each round more can show up, functioning as a sort of multi-round combat challenge. A key to the design is figuring out how many more foes should show up each round, such that it is a challenge but you don’t overdo it (for example, they might use encounter aoe powers in round 1, but not be able to to take down as many in round 2). Keeping a high degree of story and flavor and encouraging players to be descriptive (as well as the DM) around attacks can really help these fast scenes shine. Excellent comment. As you said, the key is to get the balance just right, where it’s not too tough, but not a walk in the park, either. You have to be very flexible and willing to adjust on the fly. This is an interesting idea. There’s a lot of bringing back the old school feel going around the D&D blogosphere lately, and I think it is wise to look back on what used to make folks engaged with the game. You seem really pliable for this brawl idea, and that’s the only way it can work. 1/ anyone that can hit more than one target with an at-will can attack against two enemies. 2/ I like your idea about the defender; two enemies will always attack the defender first, then the rest will go after the others. You could also take a -2 to one of your attacks against a PC that is not the defender. 3/ The time pressure that comes with a lot skill challenges make for good justification of no powers but at-will—there just isn’t enough time, and you guys clearly have a handle on this swarm of enemies. I’m reminded of the hordes in Left 4 Dead, especially when you’ve got an inopportune weapon in hand. You could do this between battles too: “You open the door and flood of spiders pour out, you certainly weren’t ready for that. This goes along the line of random encounters, and fits nicely with the idea of them being both random and unexpected. Great idea, keep it up. I like the “too surprised to use anything but at-wills” idea. A story based reason for the limitation is something many players might need before they buy into the idea. Great perspective and insight. I’m going to agree with you 100% on looking back to 1e for inspiration. Contrary to what an earlier commenter asked, I think it sounds like a lot of fun. Anything to advocate more ROLE playing and less ROLL playing deserves a nod in my opinion. Well, there are plenty of old-school grognards out there who see flaws in 4E, and I have to say they aren’t all wrong. Some things, older editions do better. And there are areas in which 4E shines, too. Look through the old 1E core books with a critical eye, and you’ll see that there were problems there too. Striking a balance between the two is something I’d like to do more in my game. In essence your idea works however running my group through a brawl encounter didn’t seem to be too popular as the players spent the encounter bemoaning why they couldnt use their encounter and daily powers. A suggestion for this may come from an interupted rest say or a failed skill challenge as others have said. Anyway thanks for the suggestion. Yeah, that seems to be a common thread. Did you just throw it at them without warning, or explain the reasoning behind it ahead of time? My players were very receptive to the idea once I told them why I wanted to try it. Anyway, thanks for trying it out and letting me know how it went. I told them they were going to act as guinea pigs for this encounter I did implement a rule saying that encounter powers and dailys only recharge should the players actually have a full extended rest (8 hours in game time) where they are not attacked by monsters or beset by a challenge. Would a brawl count toward a milestone? I would say not. I’d probably go at the rate of six brawls per milestone. This looks like it might be fun to sprinkle in occasionally as you suggest. I am definitely planning to try something like this in a game. I agree with shimmertook I think it would be a good idea to have specific plans for marks and AoE attacks. AoE and Attacks of Opportunity are why we switched to using battle maps in the first place.